Manager Ray McKinnon has added another new face to his squad today, with less than 2 weeks until pre season training starts. 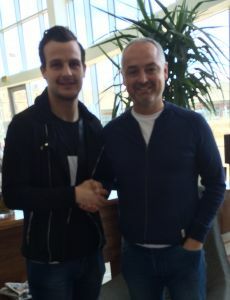 Defender Kyle Benedictus (23) has signed on the dotted line following his release by Dundee FC, where he has been on the books for 7 years. In his time with the Dees he was a regular starter, gaining valuable top flight experience during season 2012/13, before spending last season on loan with Alloa Athletic.